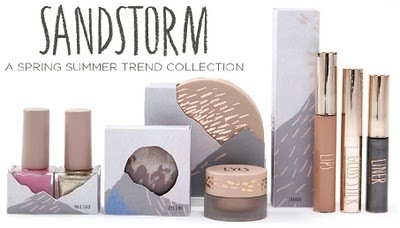 A quick heads up incase you’re planning on heading into town over the weekend, the new Sandstorm Spring Summer trends collection from Topshop should now be instore for your makeup purchasing pleasure. Check out these swatches on RougeDeluxe for a closer look… I’m really taken with the look of the Creme Lipcolour in Daze (£7.50) and the Crayon in Zephyr (£8.50). Also, if you can’t get into store, Topshop are currently offering free UK standard delivery for all orders until Tuesday 22nd February. still refusing to buy this what is essentially just another high street makeup, from a shop so pretentious to sell in just posh shops like selfridges and the main one in london. who do you think you are topshop? I ummed over certain pieces here (I don’t really need them) but free delivery always manages to hook me in. However, I need to swatch first so will probs end up buying from the store.